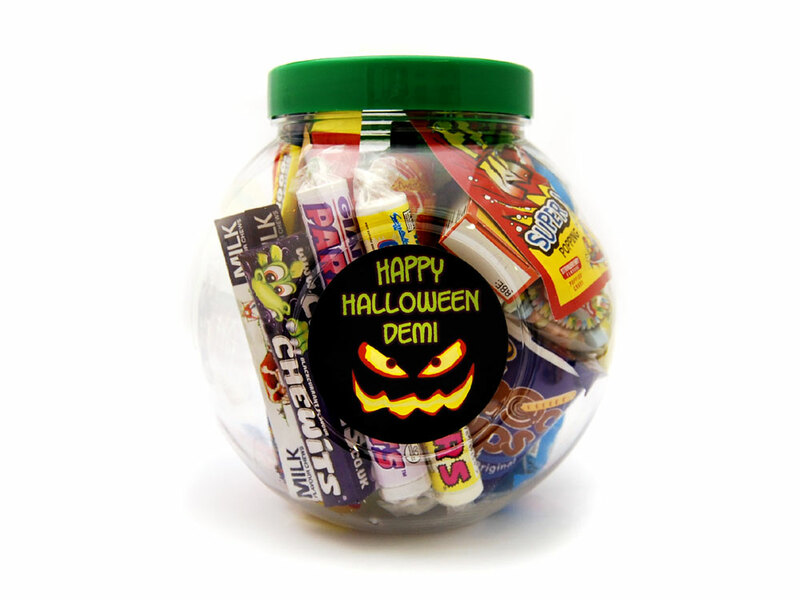 A large plastic cookie jar filled with lots of sweet perfect for Halloween. Personalise the sticker to make this a great gift for someone special. 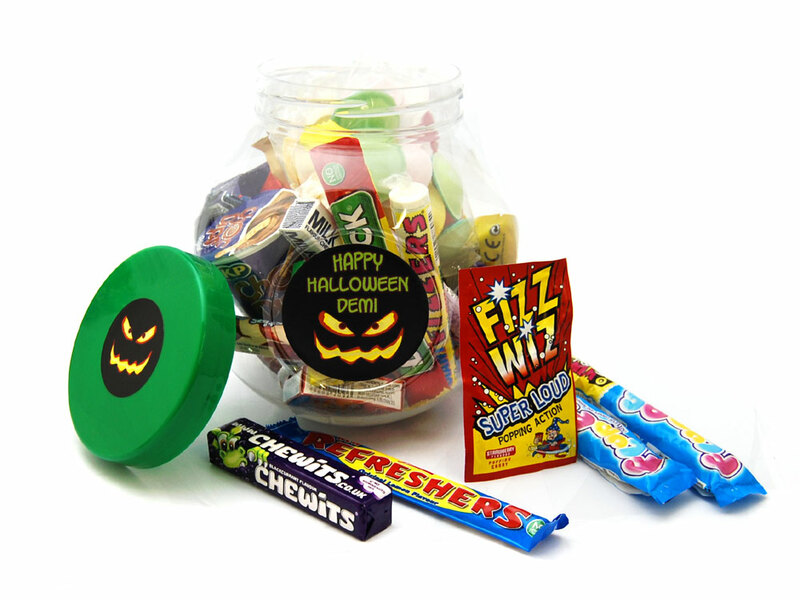 Giant Fizzers: Sugar, Malic Acid, Stearuc Acid, Sodium Bicarbonate, Modified Starch, Magnesium Stearate, Anti-Caking Agent (Magnesium Carbonate), Flavourings, Colours (Anthocyanin, Copper Chlorophyllin, Curcumin, Lutein, Paprika). Chewits: Glucose Syrup, Sugar, Fruit Juice from Concentrate (3%), Vegetable Fat (Palm, Coconut, Contains Soya), Lactic Acid, Egg white, Hydrolysed Pea Protein, Flavouring, Concentrates of Blackcurrant and Blackcarrot. May contain traces of Egg and Soya.